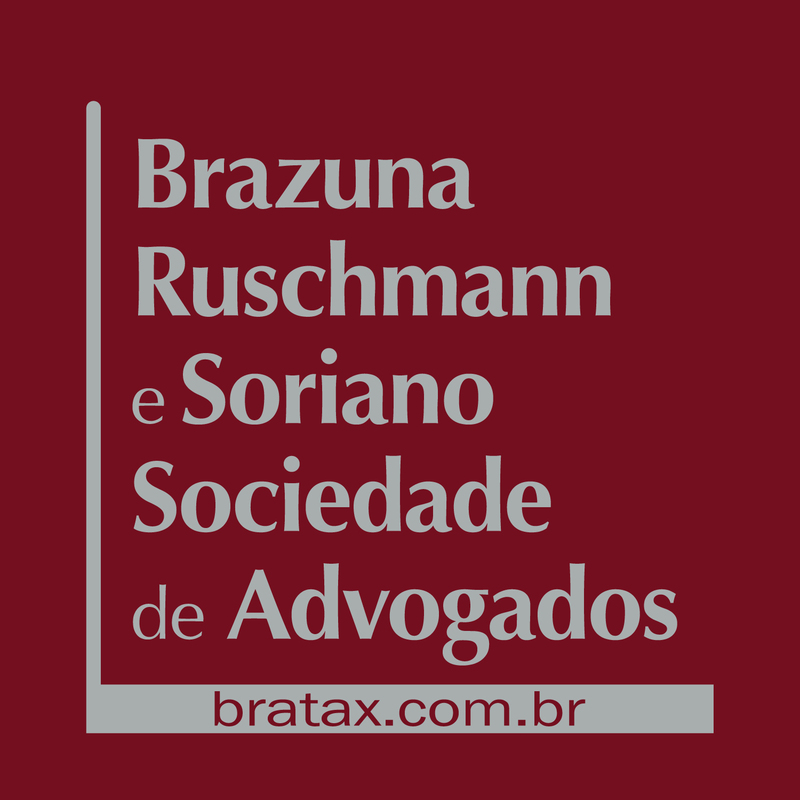 On September 12th of this year, Brazuna Ruschmann & Soriano Sociedade de Advogados (BRATAX) marked a half-decade since its founding by gathering approximately 150 guests at the Renaissance Hotel in São Paulo for the seminar Brazil’s Candidacy for OECD Membership and the Future of Transfer Pricing Rules Tax Controls, organised in partnership with the law offices Bonelli Erede Pappalardo Studio Legale (Italy), Philippi Prietocarrizosa Ferrero DU & Uría (Colombia), Uría Menéndez – Proença de Carvalho (Portugal), and Marchant TP (Brazil). The first session of the event was opened by Ciro Cesar Soriano de Oliveira, of BRATAX, who introduced the theme by highlighting the internal complexity of Brazilian transfer pricing rules legislation, from the illegality of the regulations issued by the Brazilian Federal Tax Authorities (SRF) governing the subject to the discussions related to the burden of proof in related tax audit proceedings, the definition of applicable profit margins and the costs that may be included in calculating deduction limits. The direct impact on international transactions, the presumed profit margins policy, the difficulty of applying those margins to certain segments and operations, as well as the grey zones created in transactions involving intangible goods he noted as being of particular interest as, in the final analysis, they may result in the double taxation of income. As an example, he mentioned the case of the rendering of technical services, technical assistance, and administrative services in general, which end up only subject to control via the Comparable Uncontrolled Price Method (CUP) and the Cost Plus Method (CPM). As in the vast majority of cases when such services are only rendered within the same economic group, the CUP Method is inapplicable due to the non-existence of comparable prices. That leaves only CPM, which has a presumed profit margin of 20% under Brazilian legislation. When the statutory margin is added to the policy of applying a 15% withholding tax, the result is extremely high taxation in Brazil. And all of this is before considering not only income tax, but the other taxes levied on the importation of services: Intervention in the Economic Domain Tax (CIDE), Social Integration Programme and Social Security Financing Contribution Taxes (PIS/Cofins) and Tax on Services (ISS). Another example of the distortions created by local tax legislation is the taxation of intangibles of foreign origin, which is particularly pernicious when combined with: (i) the severe restrictions on the deductibility of those expenses on the part of Brazilian taxpayers who remit royalties to related parties; and (ii) the possibility that some forms of remuneration rights may also be subject to transfer pricing controls, depending on the concept of royalties which is employed. Thus, with respect to this point, it would be significant if Brazilian legislation were to conform to international practice, allowing the use of functional methods to control the transfer pricing rules applied to intangibles. Next on the agenda, Phelippe Toledo Pires de Oliveira, of the Department of the Treasury’s General Counsel Office, spoke on the current status of Brazil’s candidacy to become a member of the OECD, sharing the experience he gained in the matter while acting as a direct advisor to the Ministry of Finance. According to his talk, Brazil’s request was officially submitted to the OECD in May of 2017 and remains pending analysis, such that the process will only be concluded some years hence. As he explained, the process for a country to become an OECD member is begun by its request for entry being accepted and then follows a route map that consists of establishing the terms and conditions for its definitive membership, identifying the changes that must be made to its internal laws in order to harmonise them with OECD guidelines. Subsequently, the different committees of the organisation will review the changes made by the candidate country to verify their adequacy. This phase ends with an invitation to join the OECD. According to Pires de Oliveira, Brazil has performed a preliminary analysis of its legislation, identifying norms which must be adapted, and has already begun to make some of the necessary changes. Moreover, Brazil has closed its ties to the OECD and begun to participate in several committees and working groups. Specifically with respect to Brazilian tax legislation, the principal challenges he identified were the model adopted in international contracts to avoid double taxation and Brazil’s peculiar transfer pricing rules (its firm stand regarding the fixed margins of the Cost Plus and Resale Minus Methods, due to their simplicity and practicality, but which may not avoid double taxation). Closing out the first session, Diego Marchant, of Marchant TP, listed the specifics of existing transfer pricing legislation which currently distance Brazil from OECD standards, notably: product-to-product calculation; the non-existence of prior price agreements; predetermined margins; the use of only transactional methods; the practical infeasibility of using administrative appeals to alter fixed margins (Administrative Rule [Portaria] no. 222); the lack of functional analysis; the high level of disputes between the Treasury and tax payers; and the special methods adopted for commodities price controls. Taking a realistic stance regarding Brazil’s OECD candidacy, Marchant pointed out, among other changes that may occur to harmonise transfer pricing rules, the creation of transactional methods conjoined with existing safe harbor rules, the institution of safe harbor rules for services, as well as changes with respect to interest rates and financial operations involving predetermined margins and the rules for evaluating intangibles. During the second session of the event, Cristiano Frederico Ruschmann, of BRATAX, presided, discussing the international experience of transfer pricing controls on intangibles in countries that follow the OECD guidelines. First, Marco Adda, partner at Bonelli Erede Pappalardo Studio Legale, laid out the difficulties multinational companies and European tax authorities have encountered, where the challenges are no longer restricted to the analysis of the single intercompany transaction, but rather concern the identification of the effective contribution rendered by each group member to the generation of value within the group as well as from the ownership and exploitation of intangibles (such as know-how). Those challenges have arisen in parallel with changes to the business models applied by multinational companies which are more and more vertically integrated and operate worldwide through regional coordination centers (hubs). At the same time intangibles are playing a key role in income generation and, for transfer pricing purposes, the legal owner is no longer entitled to the extra remuneration deriving from the intangibles if other entities within the group are actually performing relevant functions related to those assets. In this context, Marco Adda highlighted that transfer pricing analysis concerning intangibles starts from the revision of the value chain of the group and aims to identify the parties which contribute to enhance the value of the intangibles. According to the OECD Guidelines, the key actions to determine the degree of involvement and the contribution of each party in the management of an intangible asset are those of development, enhancement, maintenance, protection, and exploitation or DEMPE as they are collectively known. In each case, the capacity of the parties involved to assume the risks associated with such activities must be identified, with the important distinction being made between financial risks and operational risks. Next on the agenda, Sandra Pineda, of Philippi Prietocarrizosa Ferrero DU & Uría, shared Colombia’s experience with its successful bid to become an effective member of the OECD in May 2018, after a six-year long process where it was assessed by 23 OECD committees under a total of 200 standards. According to Pineda, two of the three principal challenges Colombia faced within such a process were in adapting its internal legislation to specific civil and commercial intellectual property law rules (i.e. deregulation of medicine-prices, as well as the protection of intellectual property rights in the country). With respect to the application of tax rules on transfer pricing regulation of intangibles, she noted that even before Colombia expressed an interest in joining the OECD, its internal rules were already in line with the OECD’s transfer pricing guidelines. As a signatory nation of the Base Erosion and Profit Shifting (BEPS) Action Plan, Colombia already requires multinational companies established in its jurisdiction to submit reports on the participation of each associated company in the development, enhancement, maintenance, protection, and exploitation of intangible goods. Furthermore, Pineda stated that the Colombian Tax Authority, DIAN (by its acronym in Spanish), under tax audits regarding intangible assets, is asking taxpayers for the application of specific methodologies of analyses that show value creation stages of intangible assets, in a way to demand value-creation proofs in these specific, complex intercompany transactions. Finishing up the second panel, Portuguese attorney Filipe Romão, of Uría Menéndez - Proença de Carvalho, related an interesting practical case of transfer pricing rules as applied to intangibles that occurred in his country, one regarding the new reality of digital commerce, in which a group of multinational companies, which already carried out their activities via sites and applications, entered the cryptocurrency market. In addition to the initial challenge of qualifying cryptocurrencies, conceptualising them as intangible assets, there was an additional difficulty presented by the question of who was the owner of those goods, as they are not subject to registration in any of the jurisdictions involved. The relevant contracts aided the tax authorities in their conclusion as to the real owner, along with the adoption of the BEPS guidelines, in order to verify what each of the multinational companies contributed to the development, enhancement, maintenance, protection, and exploitation of the cryptocurrencies, with the particular nuance of evaluating how each of those actions added value to the goods when the same action was performed by more than one company. The third session was presented by José Luis Ribeiro Brazuna, of BRATAX, with the objective of discussing the views and expectations of foreign multinationals regarding Brazil’s candidacy to join the OECD. The panel was opened by Ambassador Rubens Barbosa, who shared his experience as head of the Foreign Trade and International Relations Institute. He noted the process in recent years of closing ties between Brazil and the OECD and the importance of its entrance as an effective member of the organization. The former Brazilian ambassador in Washington and London, he highlighted his concern with Brazil’s repeated non-compliance with international agreements and its refusal to sign other significant agreements for entering the global marketplace. He made special mention of the successful candidacy of Colombia and the importance of Brazil beginning to behave as if it were an OECD member already, even before its formal integration into that group of countries. He pointed out that Brazil’s entrance into the organisation would be a very positive step, which would contribute to the improvement of its public administration and the efficiency of its government, as well as to the implementation of structural reforms and the country’s socio-economic inclusion on the world stage, allowing it to participate in the definition of international trade rules. Despite the current political upheaval, the ambassador was optimistic about Brazil’s candidacy to enter the OECD in the medium term. Next to speak was the legal director and head of business development for Fiat Chrysler Automobiles for Latin America, Marcio Lima, who identified the need for Brazil to position itself in the international market as a mature player, as only then would there be increased foreign investment in local production. As vice president of the Brazilian Association of Automotive Vehicle Manufacturers (ANFAVEA), Lima highlighted the positive impact that the country’s greater commercial openness would bring about in the sector, emphasising the size of the productive capacity already installed to meet domestic and foreign demand. In this regard, he stressed that Brazil needed to expand its network of international trade agreements, as well as to align its internal tax policies with OECD guidelines, independent of the formal procedure for joining the organization. He stated that it was fundamental for Brazil to avoid double taxation and to foster greater international investment, increasing the legal certainty surrounding its transfer pricing rules by adding more flexibility to its presumed profits policy, thereby allowing the grouping of transactions and merchandise (the 'basket approach') and authorising the application of advance pricing agreements (APAs). Closing out the proceedings, the tax head for AkzoNobel in Latin America, Sergio Guardia, was less optimistic regarding foreign investment in the country, noting that its domestic rules had peculiarities that were hard to understand in the context of the international market. From his perspective and based on his own experience, he reinforced the idea that one of the major worries of multinational companies in the Brazilian context was that of intangible goods and the idiosyncrasies of the transfer pricing rules applied to royalties paid to parent companies. As an example of the challenges that multinational companies operating in Brazil must overcome, he cited a successful concrete case in which better tools to control transfer pricing adjustments were structured so as to generate data with a higher level of confidence. Using that as a starting point, those tools were then used for tax planning purposes to reduce those adjustments and bring the margins and prices practiced in different countries into harmony, allowing for a lesser impact of Brazil’s fixed margin methods with respect to the OECD guidelines used in other jurisdictions. Following the presentations of all of the panelists, it was clear that, despite the efforts already exerted to modernize Brazilian rules with transnational effects, in order for the country’s candidacy to join the OECD to come to fruition, it is fundamental that this adaptation be more effective, especially with regard to transfer pricing rules tax controls. Thus, in order for Brazil to situate itself in the international competitive market, it will be necessary to harmonize its norms with the standards adopted by the countries with which it maintains commercial ties, even when pragmatic rules such as its use of presumed profit margins are maintained for situations involving lesser complexity. In conclusion, transnational transactions have a great impact on international taxation as they gain ever more importance in the globalized and digital economic context. There are no simple solutions for complex problems. Brazil must face the challenges involved and make its transfer pricing legislation more flexible, in line with international standards, at the risk of being excluded from the global value chain. Inclusion in that chain is a necessary element in the renewed economic and social development of the country.